This photo was given to the site by Malcolm Knight and his dad is John Knight who is third from left in the back row. He was born 1866/1867? died 1912. This is a boiler making factory in the Tilbury Docks. 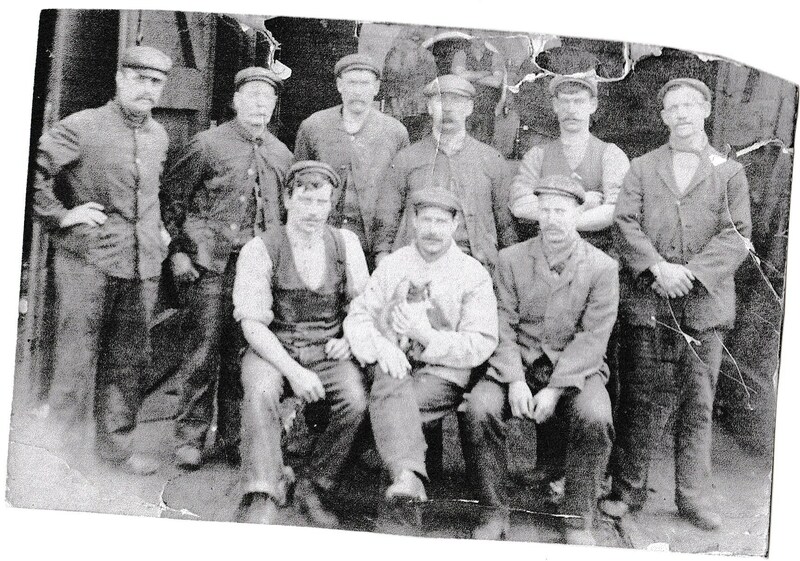 Does anyone know the name of the factory or any of the other workers or the cat sitting on a lap in the front row? Double click for a closer look. I have an original of this photo. As far as I know the main third from the right in the back row was my grandfather Thomas Edward George, born 1867, died 1933. He came to Tilbury in the first decade of the twentieth century, having previously been a dock labourer in London.